Why did Pilate have Jesus flogged, and could he really have survived such suffering? Q. When Pilate ordered Jesus to be flogged, was there no agreement between him and the High Priest that Jesus would be freed after the flogging? Why was Jesus flogged? According to Luke, when Pilate said he would flog Jesus and then set him free, the crowd shouted all the more, “Crucify him,” so “Pilate decided to grant their demand.” Here, the crowd did not demand Jesus to be flogged, they demanded that Pilate crucify Him. So what is the connection between flogging and crucifying Jesus? Pilate did not have to flog Jesus when he gave in to their demand. Also, one Bible scholar has suggested that the degree of suffering Jesus underwent is actually much more than what is portrayed in the movie, The Passion of the Christ. Would a human body in that condition even be able to walk, never mind carrying a cross, due to loss of blood? First, you’re right that there was no need for Pilate to have Jesus flogged after he had given in to the crowd’s demand that Jesus be crucified rather than flogged. Crucifixion itself was such supremely agonizing physical torture that there was no reason to add flogging to it, as if that would make it worse. In fact, a prisoner who had been flogged first would likely die sooner on a cross and thus suffer less of the agony of crucifixion. This indeed appears to be the action of a weak, petulant ruler who couldn’t control the big picture and so insisted on his own prerogatives in small matters. But in the providence of God, it fulfilled Jesus’ prediction about the Son of Man, “After they have flogged him, they will kill him, and on the third day he will rise again.” And in the mercy of God, it may also have shortened Jesus’ time of suffering by weakening his body so that it could not endure the crucifixion any longer. Not that the work of Jesus on the cross was in any way incomplete—”It is finished!” he cried, and we know that he fulfilled his task as the Lamb of God who took away the sins of the world. As for your second question, when the movie The Passion of the Christ came out in 2004, I saw doctors quoted to the effect that no human being could have lived through the amount of torture that Jesus was depicted suffering in the film. So even if the amount wasn’t much greater, as you heard suggested, no one would have been walking around or carrying a cross afterwards. But it’s important to realize what the genre of that movie was. It was made in a time-honored tradition of meditations on the sufferings of Christ. Another example of this genre, in painting rather than film, is the so-called “Man of Sorrows” portrayal of Jesus, in which the viewer sees Jesus after the crucifixion standing or sitting with all of his wounds visible. This is a non-historical moment that never actually occurred, but it’s designed as a vehicle for devotion. Hymns such as “When I Survey the Wondrous Cross” and “Man of Sorrows, What a Name” are written in this same tradition. Keeping an antique nail in a prominent location, or growing a crown of thorns plant, are other approaches to being mindful of Jesus’ sufferings for us. It’s consistent with this devotional practice for a film to portray Jesus’ sufferings individually and extensively so that we can recognize all that he did for us, even if this style of portrayal becomes non-historical by exhibiting the sufferings in such an extended way that they represent more than anyone could have survived. Our response can only be, as in the hymn “Man of Sorrows, What a Name”: Hallelujah, what a Savior! Author Christopher R SmithPosted on June 3, 2018 June 3, 2018 Categories Bible: Contradictions, Bible: Historical Accuracy2 Comments on Why did Pilate have Jesus flogged, and could he really have survived such suffering? Why are there two different (not duplicate) versions of the Ten Commandments in the Bible? Q. I saw an interesting video about God telling Moses to write some additional commandments on stone tablets. The first version was given to Moses when the Israelites got to Mount Sinai. We call these the Ten Commandments, and they’re what’s etched on all the stone monuments we see. But Moses broke those tablets in anger. The Lord called him back up onto the mountain and told him what to chisel on some new stones. The Bible also calls these the “Ten Commandments.” But most of them are different. Why? 2. You shall not make images and bow down and worship them. 1. Be careful not to make a treaty with those who live in the land. 2. Do not make any idols (=#2 above). 3. Celebrate the Festival of Unleavened Bread. 4. The first offspring of every womb belongs to me. 5. No one is to appear before me empty-handed. 6. Six days you shall labor, but on the seventh day you shall rest (=#4 above). 7. Celebrate the Festival of Weeks with the firstfruits of the wheat harvest, and the Festival of Ingathering at the turn of the year. 8. Do not offer the blood of a sacrifice to me along with anything containing yeast, and do not let any of the sacrifice from the Passover Festival remain until morning. 9. Bring the best of the firstfruits of your soil to the house of the Lord your God. 10. Do not cook a young goat in its mother’s milk. 1. Do not make a covenant with them or with their gods. 2. Do not make for yourselves gods of silver or gods of gold. 4. You must give me the firstborn of your sons, your cattle, and your sheep. 6. Six days do your work, but on the seventh day do not work. 7. Celebrate the Festival of Harvest with the firstfruits of the crops . . . celebrate the Festival of Ingathering at the end of the year. 8. Do not offer the blood of a sacrifice to me along with anything containing yeast. The fat of my festival offerings must not be kept until morning. There’s really nothing that mysterious happening here, once you understand the principle behind each version of the Ten Commandments. As I’ve just said, the first version is an overture to the Book of the Covenant, while the second version is an overview of the Book of the Covenant, consisting of a selection of representative laws. But it is interesting to observe that it was this second version of the Ten Commandments that was actually placed within the ark of the covenant, carried around through the desert, and finally safeguarded within the tabernacle and the temple. Nevertheless, the first version was preserved through the telling of the story of the encounter with God at Mount Sinai (as we see, for example, when Moses re-tells that story in Deuteronomy). So we can consider that both versions are actually the heritage of God’s covenant people and that we can continue legitimately to make use of the first version. That’s a good thing, because it expresses foundational moral principles that transcend time, place, and culture. It would be a bit strange if we had replicas of the Ten Commandments in our homes or churches that said, “Do not cook a young goat in its mother’s milk”! Rembrandt, “Moses with the Ten Commandments.” The front tablet bears commandments 6–10 in the original version, written in Hebrew, and the suggestion is that the back tablet contains commandments 1–5. However, biblical scholars generally believe that all ten commandments were written on each of the two tablets. In keeping with the practices of the time, there was one copy for each party to the covenant, God and Israel. Both copies were kept together in the ark of covenant. 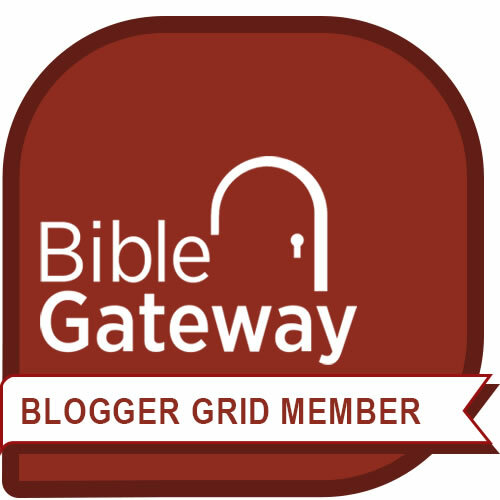 Author Christopher R SmithPosted on June 8, 2017 January 27, 2018 Categories Bible: Contradictions2 Comments on Why are there two different (not duplicate) versions of the Ten Commandments in the Bible? Why do Matthew and Luke seem to disagree about the circumstances of Jesus’ birth? Q. The Gospel of Matthew says that Jesus was born in Bethlehem, and was in a home of some sort when the wise men visited Him. Jesus was soon afterwards taken to Egypt to flee from Herod and then brought to the city of Nazareth where he stayed. The Gospel of Luke claims that Augustus Caesar took a worldwide census, and so Joseph and Mary left their original place of Nazareth and went to Bethlehem. Jesus was born in a manger, not a home, and afterwards was taken to Jerusalem. There is no mention of Egypt. And then he was taken back to Nazareth. How can both stories be right? Matthew insinuates that Joseph and Mary had never lived in Nazareth before. Luke calls it “their own city.” Also, did such a census from Caesar ever occur as Luke describes? It actually is possible to reconcile the accounts that Matthew and Luke give of Jesus’ birth, though once I have sketched out how that can be done, I will then explain why I think we should still find the differences between them the most significant thing, because they point to each author’s purposes in telling the story of Jesus. You might be familiar with an English translation of Matthew that begins the story of his birth something like this: “When Jesus was born in Bethlehem of Judea in the days of Herod the king, wise men from the East came to Jerusalem saying, ‘Where is he who has been born king of the Jews? For we have seen his star in the East, and have come to worship him. '” This sounds very much as if the birth of Jesus is nearly contemporaneous with the wise men’s visit, and so we are surprised when they find him in a “house,” since according to Luke (and the traditional Christmas “manger scene” or crèche) he should be in a manger. So the birth of Jesus is not so much a contemporaneous event as a background event, a “given” for the narrative that follows. When we pay attention to the fact that the wise men first saw the star two years earlier, it’s less surprising that Jesus is no longer in the manger. For that matter, there’s no reason for him to be in Bethlehem any more, either. The census is actually long over and Mary and Joseph could even have returned to Nazareth. (Matthew says simply that the star went ahead of the wise men and led them to “the place where the child was.” He doesn’t identify that place.) They would still have been within the jurisdiction of Herod the Great even in Nazareth, however, and would have had to take Jesus to Egypt for his safety. I say they could have gone there because Matthew seems to suggest that Joseph’s plan after Herod died was to come to Judea, and that he only went up to Galilee and settled in Nazareth instead when he learned that Herod’s son had succeeded him as the ruler of Judea. So it’s also possible that Joseph and Mary stayed somewhere in Judea for two years after Jesus was born. Much of this is a matter of “filling in the blanks” to try to reconcile the accounts, and I think its chief value is to show that they are not inherently contradictory. But as I said earlier, I think it’s much more fruitful to ask why there are differences, as these point to Matthew and Luke’s purposes in writing and thus to the “take homes” they each have for their original audiences, and for us. Matthew was an observant Jew who was writing for an audience of Jews who had come to believe in Jesus as their Messiah. But at the time he was writing, his community was locked in a contest with groups led by the Pharisees over what the future of Judaism would be after the destruction of the temple in the first Jewish-Roman War of AD 66-70. So Matthew wants to portray Jesus not only as the Son of David (and heir to the Messianic promises) but as a “new Moses,” whose teachings should be followed rather than the strict literal reading of the law that the Pharisees are promoting. So even if Joseph and Mary were living in Nazareth before the census, Matthew doesn’t mention this because he wants to highlight that Jesus was born in Bethlehem to fulfill Micah’s prophecy that the Messiah would be born there. Matthew describes Herod’s slaughter of the baby boys and the flight into Egypt to show how Jesus recapitulates events in the life of Moses: escaping from a murderous ruler and coming up out of Egypt. Matthew mentions Nazareth only at the end because he can then point out that Jesus being called a “Nazarene” is another in the chain of Scriptures that Jesus fulfilled. I hope this is helpful. As for whether the so-called “census of Quirinius” actually happened, or happened around the time Luke says, there’s a good discussion here. “The Holy Men” © Liz Lemon Swindle. 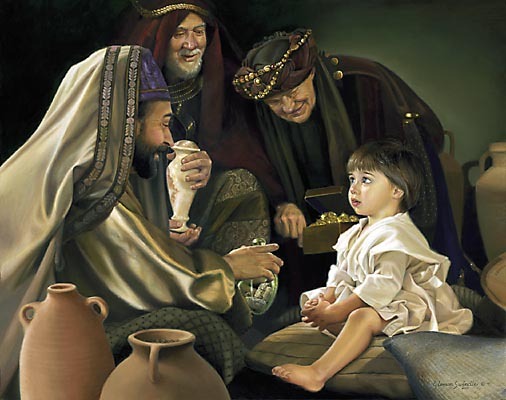 In this contemporary painting the wise men are clearly visiting a two-year-old in a home, not an infant in a manger. Author Christopher R SmithPosted on October 7, 2016 January 21, 2018 Categories Bible: Contradictions3 Comments on Why do Matthew and Luke seem to disagree about the circumstances of Jesus’ birth? Do the gospel accounts of the resurrection contradict each other? Q. How do you resolve a certain resurrection discrepancy? Did Mary Magdalene and Mary the mother of James find angels at the tomb, who told them that Jesus was alive and that they should go tell the disciples to meet him in Galilee? Or did Mary Magdalene go by herself (as John indicates), find nothing, and go tell the disciples someone had stolen the dead body? The accounts seem to be contradicting each other. Why are the details of some episodes in different gospels irreconcilable? I don’t personally see irreconcilable details such as these as diminishing the truth or authority of the Bible in any way. Rather, as many have observed, these differences actually show that the gospel writers weren’t all trying deliberately to tell the same story as the others. This should give us even greater confidence in the independence and authenticity of their reports. If some minor details differ, the main points are always confirmed. And so we can be confident, based on multiple independent reports, that Jesus did walk on the water–the gospel writers agree about this miracle that testified to who he was. Judas did betray Jesus by bringing the soldiers to the garden. And a woman did anoint Jesus with perfume, and he acknowledged this as an appropriate, if extravagant, act of worship. We only have problems with the differences in minor details if we embrace the idea that if the Bible is to be the word of God, it has to present only exactly what happened, without dispute or variation, down to the last detail every time. That’s simply not the kind of Bible God has given us. We should recognize that we have instead a Bible whose human character, including such variation in minor details, only helps it to be an even better authoritative witness to divine truth. Author Christopher R SmithPosted on May 2, 2016 January 21, 2018 Categories Bible: ContradictionsLeave a comment on Do the gospel accounts of the resurrection contradict each other? Was the Israelite kingdom divided between David and Ish-bosheth, or was it only divided later? Q. After Saul dies, the narrative in Samuel-Kings says that “the men of Judah came to Hebron, and there they anointed David king over the tribe of Judah,” but that “Ish-Bosheth son of Saul . . . became king over Israel.” I always thought that the official ‘division’ of the kingdom happened later, when Rehoboam rejected the elders’ counsel and Jeroboam led the northern tribes in revolt. Can you reconcile these two accounts for me? The rivalry between David and Ish-Bosheth was not a division of the ancient Israelite kingdom into two parts, it was a civil war to see which of these men would become king over all twelve tribes. Samuel-Kings uses its characteristic “regnal notice” to describe how Ish-Bosheth succeeded his father Saul as king: “Ish-Bosheth son of Saul was forty years old when he became king over Israel, and he reigned two years.” A similar notice does not appear for David until after the contest is settled and all of Israel accepts him as its king, even though the notice does acknowledge David’s time as king only of Judah: “David was thirty years old when he became king, and he reigned forty years. In Hebron he reigned over Judah seven years and six months, and in Jerusalem he reigned over all Israel and Judah thirty-three years.” So in effect Ish-bosheth became king after Saul, but David eventually displaced him. There’s actually a record in the book of Chronicles of the large numbers of warriors–hundreds of thousands–from all the other tribes who “came to David at Hebron to turn Saul’s kingdom over to him, as the Lord had said“–in other words, to help him win the war against Ish-bosheth. Among them are 200 chieftains from Issachar who, we are told, “understood the times and knew what Israel should do.” This might be said of all these warriors and their leaders from every tribe: They knew that David was God’s choice to succeed Saul and they gave him their allegiance and support even as he was in the process of defeating his rival. The situation was different between Rehoboam and Jeroboam. Because of Solomon’s disobedience (worshiping other gods! ), the Lord told him that he would lose the kingdom, except that one tribe would be left to his family dynasty for David’s sake. Solomon’s son Rehoboam adopted foolish, oppressive policies and wouldn’t listen to sound advice, and in response a leader name Jeroboam (one of Solomon’s former high officials) led a revolt that permanently drew the northern ten tribes into a kingdom of their own. The original kingdom was never reunited and both parts, Israel in the north and Judah in the south, were eventually conquered and exiled by the great empires of the ancient world. Author Christopher R SmithPosted on February 20, 2015 January 21, 2018 Categories Bible: ContradictionsLeave a comment on Was the Israelite kingdom divided between David and Ish-bosheth, or was it only divided later? Did Jesus and Paul have different focuses in their teaching–the kingdom of God vs. salvation by grace? Q. Why does Jesus seem to focus so much on “the kingdom of God” while Paul seems to focus on “salvation by grace”? Are they two sides of the same thing, or are they different focuses? But I don’t think it’s quite accurate to say that Paul’s teaching is essentially about salvation by grace. As Gordon Fee has shown quite convincingly in his book God’s Empowering Presence (abridged in Paul, the Spirit, and the People of God), we actually have that impression about Paul because we read him through the eyes of the Reformation. The Reformers were trying to respond to a situation in which salvation was being depicted, explicitly or implicitly, as the result of works. Beginning with Luther, the Reformers found in the opening parts of epistles such as Galatians and Romans a strong insistence that salvation is by grace alone, through faith alone, and they made this the centerpiece of their response. All Protestants are heirs of the Reformation and so we see Paul through this lens. But Paul was not actually writing to counter people who taught salvation by works. Rather, he was correcting the teaching that salvation was by grace and sanctification was then by works—specifically works such as circumcision (the main issue in Galatians) or keeping kosher and Jewish festivals (as in Colossians). This reference to the Spirit is the key element. Paul’s opponents said that people, once saved by grace, needed to be trained and restrained by the law; otherwise, what would keep them from running wild? Paul countered that the transforming influence of the Holy Spirit in believers’ lives would change them into people who desired and delighted to obey God. But the very fact that the Holy Spirit was and operating in this fashion was, for Paul, evidence that the “age to come” or the “kingdom of God” was breaking into human history. In other words, the essential incentive to live by the Spirit and not by the flesh is that we are already citizens and heirs of the kingdom of God. Towards the end of Romans, for example, Paul turns aside a legalistic concern for sanctification through keeping kosher in favor of the transforming influence of the Spirit by explaining, “The kingdom of God is not a matter of eating and drinking but of righteousness and peace and joy in the Holy Spirit.” And he warns the Galatians against the “deeds of the flesh” by reminding them that “those who do such things will not inherit the kingdom of God”—in other words, those who will inherit the kingdom of God do not do such things. So we see that the notion of the “kingdom of God” is not an emphasis that’s central to Jesus’ teaching but missing from Paul’s. Rather, for Paul the presence of the kingdom is evidenced in the coming of the Spirit and in the Spirit’s transforming influence, which allows people not only to be saved by grace rather than works, but also to be sanctified by the Spirit rather than by works. 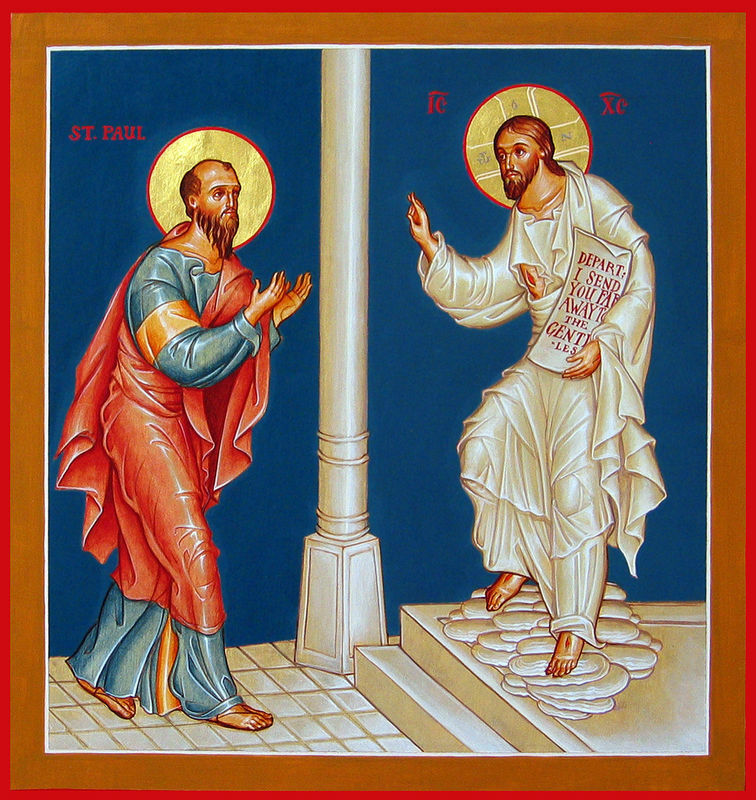 An icon depicting Paul receiving his apostolic commission from Jesus. 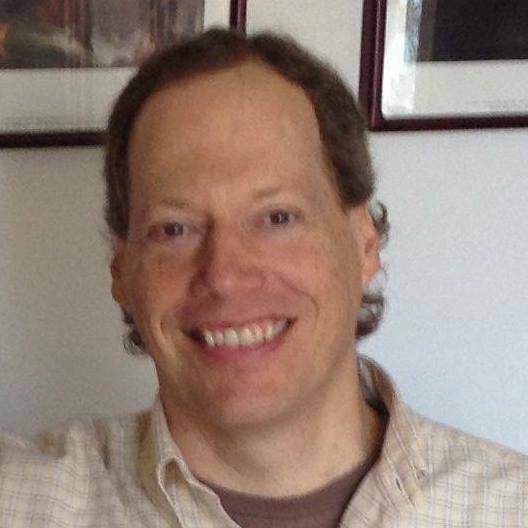 Author Christopher R SmithPosted on May 22, 2014 October 9, 2018 Categories Bible: ContradictionsTags Jesus, kingdom of God, Paul, salvation by graceLeave a comment on Did Jesus and Paul have different focuses in their teaching–the kingdom of God vs. salvation by grace? Q. Why do several of the stories told by multiple Gospels have details that seem to be contradictory? I would expect that different authors would bring out different (non-contradictory) details when telling the same story, but there seem to be details that just flat-out can’t be reconciled in some cases. Stories I’m thinking of include the woman who poured perfume on Jesus (did that happen on two occasions? ), the time Jesus walked on water, and the time when Judas betrays Jesus in the garden. You’re right that when the same story is told in more than one gospel, sometimes there are not just differences in which details are included, there are also differences in the specific facts of the story. 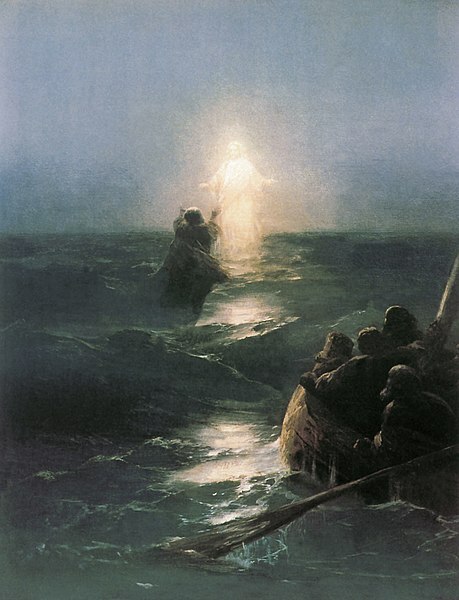 For example, when Jesus walks on the water, Matthew includes the detail that Peter wanted to walk on the water, too; Mark and John don’t mention this. Matthew and Mark simply say that the wind died down when Jesus got into the boat; John says that “immediately the boat reached the shore where they were heading.” These could be cases of one gospel writer knowing about something the others didn’t, or at least of one writer choosing to include something the others left out. But there is another difference in detail between the versions of this story that can’t be reconciled this way. Both Matthew and Mark have the disciples starting across the lake at the end of the day or in the evening, and Jesus walking out to them “shortly before dawn.” In other words, the disciples were on the lake all night. But John says that they saw Jesus approaching the boat “after they had rowed about three or four miles.” We would have to make a deliberate effort to harmonize the stories by insisting, “Ah, the winds must have been so strong and the waters so rough that they were only able to row 3-4 miles all night.” But that’s not what John says, and it doesn’t seem to be his meaning; instead, he depicts the episode as taking place once evening has given way to “dark,” not with dawn approaching. So there is a time difference. Similar points could be made about the other episodes you mentioned. In Matthew, Mark, and Luke, Judas identifies Jesus in the Garden of Gesthemane by kissing him on the cheek, the customary respectful greeting of the time. But in John, Jesus identifies himself after asking the soldiers, “Who is it you want?” And while all four gospel writers agree that a woman anointed Jesus with perfume in the city of Bethany, and it’s not impossible to reconcile all the accounts to conclude that this took place in the home of a man named Simon, Luke sets the episode early in Jesus’ ministry, while the other gospel writers place it near the end of his life. But I don’t personally see irreconcilable details such as these as diminishing the truth or authority of the Bible in any way. Rather, as many have observed, these differences actually show that the gospel writers weren’t all trying deliberately to tell the same story as the others. This should give us even greater confidence in the independence and authenticity of their reports. If some minor details differ, the main points are always confirmed. And so we can be confident, based on multiple independent reports, that Jesus did walk on the water–the gospel writers agree about this miracle that testified to who he was. Judas did betray Jesus by bringing the soldiers to the garden. And a woman did anoint Jesus with perfume, and he acknowledged this as an appropriate, if extravagant, act of worship. Author Christopher R SmithPosted on January 30, 2014 January 21, 2018 Categories Bible: ContradictionsTags details, gospels, variation5 Comments on Why are the details of some episodes in different gospels irreconcilable?